And all this sudden re-immersion of fb makes me miss the days (even more) when we walked 10 miles to school each day, (during a snow storm!) And drug-store milkshake counters. That’s where we’d receive the latest “Newsfeed” information regarding our friends & loved ones! And what happened to post-cards sent during a vacation? 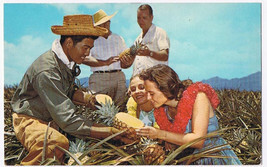 That’s when I’d discover my great aunt, second removed from my third cousin was in Cozumel picking out a ripe pineapple. I could practically smell the pineapple as she described it to me in two tiny sentences!! And let’s not forget photo-albums or slide-shows and if you were really fortunate the projector tapes of Uncle Bud with the smokes rolled up in the sleeve of his t-shirt walking the beaches of the Jersey shore in his cuffed levi’s! Yep, that was how we messaged one another. I miss that personal interaction. My facebook was reactivated while I was learning to do widgets through my blog-site. I did not recognize this until the “facebook questions” began to surface in several interactions with people. It is NOT really me, but rather my facebook page…where you will find updates on my most recent blog posts. (But no, I have not been hacked.) Please continue to share your life with me via telephone, letter writing, email, and face to face interactions as many of you have already been doing. I LOVE BEING IN RELATIONSHIP WITH YOU!!! And I would hate to see that stifled by limited facebook interactions!! So please do not try to message me there BUT INSTEAD use fb as a tool to follow my cyber-journaling at my blog site hugsnblessings.com if you should like!! I am not anti-facebook but to answer the final question: “Why did I leave fb in the first place?” It was a way to first & foremost disconnect from drama in my personal life, (which ultimately was a blessing.) But more importantly discontinuing fb, as a form of PERSONAL COMMUNICATION with others, has helped me to evaluate and focus on “what relationship truly means to ME.” (A self-discovery opportunity for which I am immensely grateful to have had!) Quite simply put…I have discovered I crave more in relationship than what facebook can offer to me, and so I have put my time & energies there. I value and respect YOUR right to use fb in the ways which are best for you and I love that you support me in defining it’s use (for me) as well!